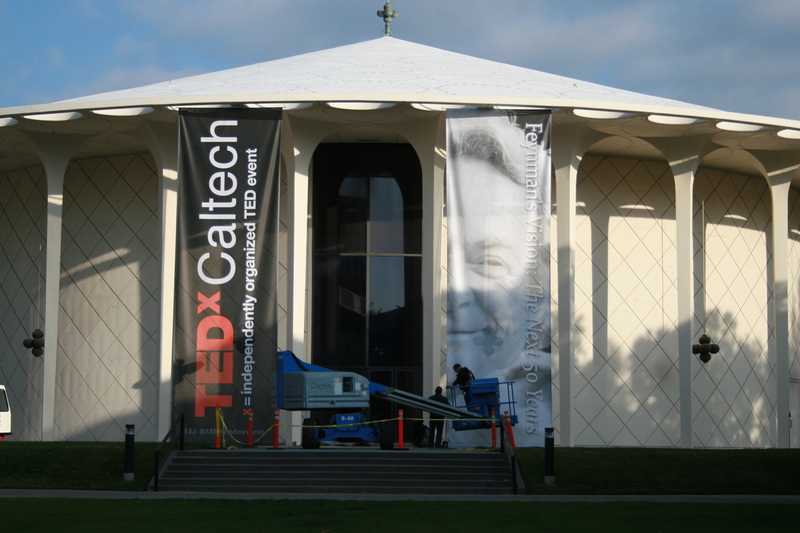 I’ll be blogging live from TEDxCaltech this Friday, Janury 14. Posts will appear here, on kpcc’s The Freeway on Facebook, and Twitter (@writerdeb, #Tedxcaltech). As you can see, the stage is being set and the excitement is building for this sold-out phenomenal selection of speakers appearing in one place on one day with “ideas worth spreading.” For speaker details, visit tedxcaltech.com. Thanks to “AV goddess” Leslie Maxfield for this photo. That fitting quote from one of the many production staff working yesterday to set up.